Lightbeam is a dynamic Firefox plug-in that uses interactive visualizations to expose online tracking. 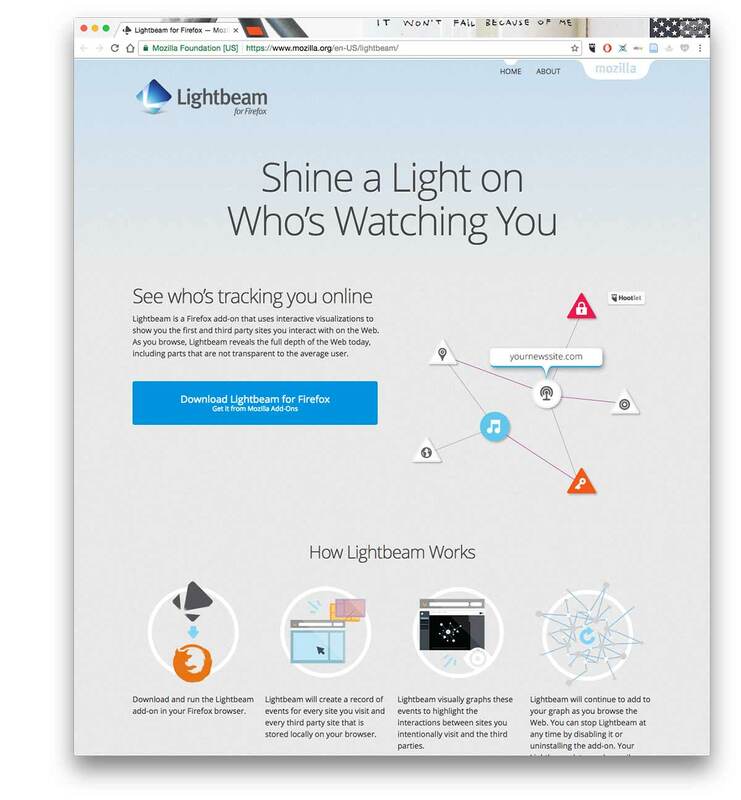 Lightbeam reveals the data serruptiously shared during common browser activity, revealing the user data gathered by third parties that would otherwise remain hidden. The project gives people the tools to make their own decisions about their online privacy. 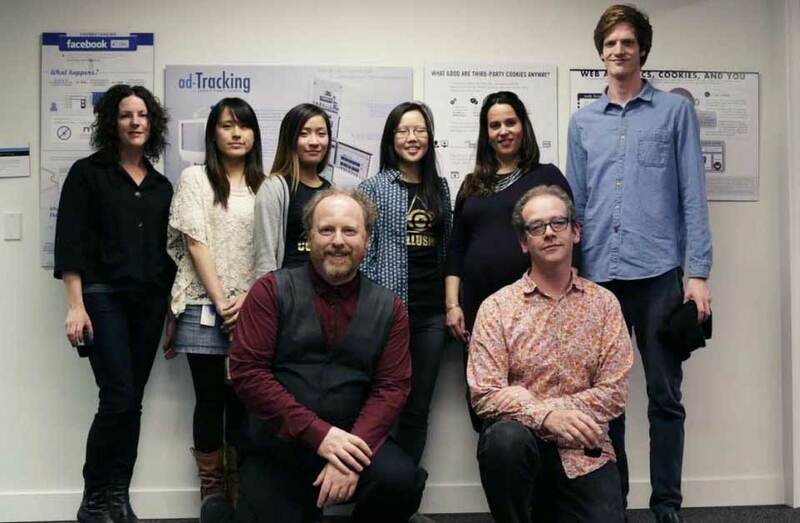 Working with Mozilla Foundation’s lead developer Dethe Elza and programmers at the Mozilla Foundation, I led a team of five undergraduate Interaction Design students from Emily Carr University of Art + Design to develop the visualization design of Lightbeam. Following a year of development, Lightbeam went live with our new interface in and has been downloaded by millions of Firefox users. The project led to two student team members being hired by Mozilla and Mozilla affiliated projects including a full-length documentary about online privacy and data mining. We adopted three main design approaches to engage users possessing various levels of technical knowledge and interest in privacy issues. The first approach engages people with little technical knowledge by giving them a tool to view and explore their own personal internet browsing history. The second enables those already knowledgeable about privacy issues to find relationships, patterns and trends among third party sites and the web sites that enable them. The third lets users act on what they find in the Lightbeam data in real time. Together these three interfaces empower users to take control over their own online privacy and change expectations and policies toward collection of third party data on the Web.